Iris Cohen, Dalt Wonk and Josephine Sacabo were photographed at the Louisiana Book Festival in 2017. 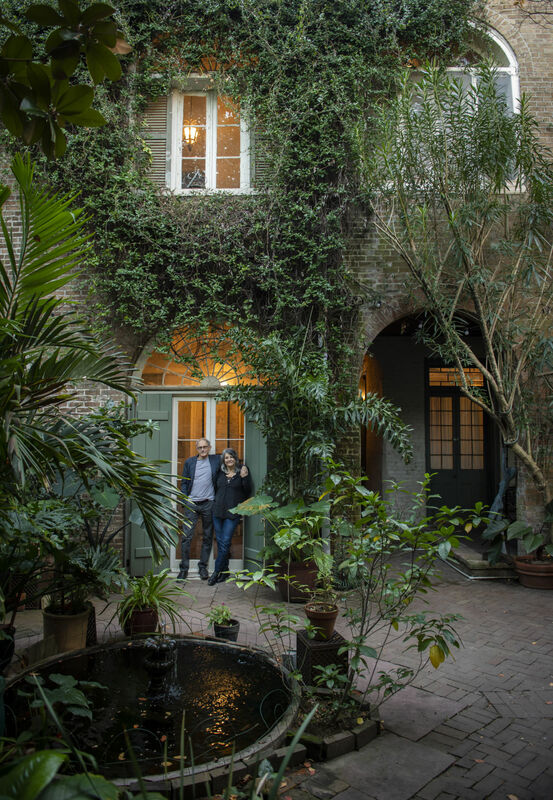 Josephine Sacabo and Dalt Wonk outside their home in the French Quarter. 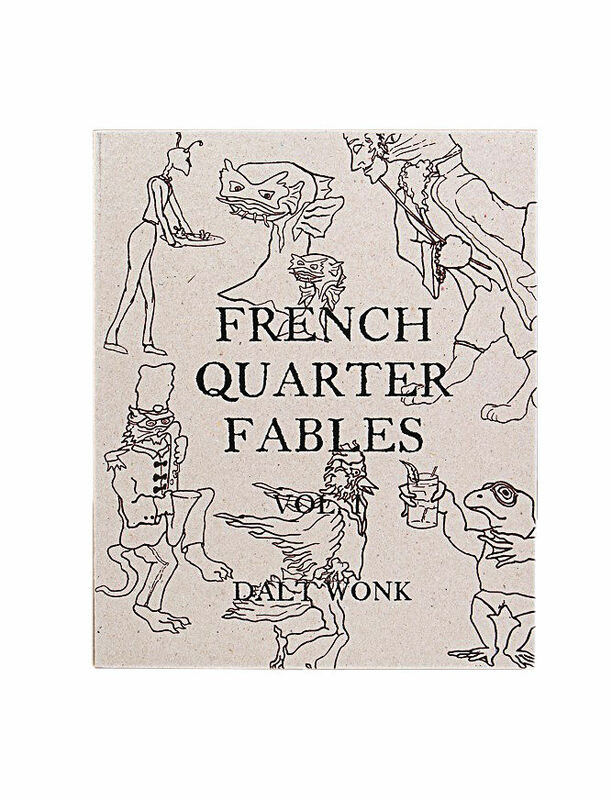 “French Quarter Fables,” written and illustrated by Dalt Wonk, $25 at Luna Press. Impractical maybe, but artistically fulfilling nevertheless. This year marks the publication of Luna Press’s most recent books, Josephine Sacabo’s gorgeous “Beyond Thought,” inspired by the work of writer Clarice Lispector, and “Lux Perpetua,” inspired by the work of writer and mystic Sor Juana Inez de la Cruz. “Someone asked me the other day, ‘Why do you take so many pictures of women?’ " Sacabo said. “And I said, ’That’s what I know.’ I suppose if I knew more about sculpture I’d take pictures of statues.” Her passion for literature drives these latest works. Luna Press also published Wonk’s “Spiritual Gifts,” interconnected short stories with French Quarter characters moving in and out of one another’s lives. It originally began as several one-act plays, was reworked and performed at Le Chat Noir in the ‘80s, and has morphed into its present form over the years. The stories are accompanied by impressionistic sketches by acclaimed artist Simon Gunning, capturing the essence of these characters. Luna Press works in the tradition of artisanal publishing — the most gorgeous design, the best paper, the fine printing done by Oddi Printing in Iceland. Their books are works of art. Wonk and Sacabo have enlisted the professional expertise of others to work with Luna Press. Jacqueline Miro, Sacabo’s longtime photography model, had a background in catalogue design for New York galleries, so she became the art director and book designer. Marigny Dupuy, a friend with a background in publishing at Yale University Press and Ticknor & Fields, edits manuscripts. And Jenny Bagert, daughter of widely published children’s author Brod Bagert, is the publishing consultant. Other long-term plans include publishing “The Flood State,” work by photographer Jennifer Shaw. The Press has also published “Inventing Reality: New Orleans Visionary Photography,” by D. Eric Bookhardt, in cooperation with PhotoNOLA and the New Orleans Photo Alliance, a professional organization dear to Sacabo’s heart. That gorgeous book is an excellent survey of the work of 27 contemporary photographers in the Crescent City. Susan Larson hosts "The Reading Life" on WWNO-FM.